As any huge techie can attest to, using batteries is essential to our daily lives. Whether its AA batteries in our point-and-shoot cameras, or closer to home, our wireless video game controllers, we simply can't live without them. The problem is, most batteries just simply don't last very long. For a serious photographer and gamer like me, having batteries you can trust to last is important to enjoying what we love to do most. So, when Energizer offered me a chance to test out their Ultimate Lithium (AA) and Recharge batteries (AA), two of their longest-lasting batteries on the market, I must say I was pretty excited. I've always been a fan of Energizer batteries, having used them in electronic devices for as long as I can remember, however I will admit that knowing the differences between all the various battery types on the market is not my strong suit. 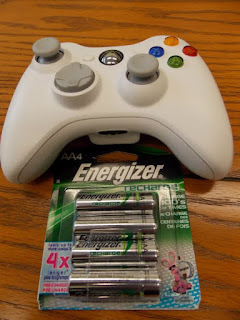 It's not everyday that I get a chance to review batteries, so as soon as I got my hands on the Energizer batteries I immediately went to their website to find out what makes them so unique. The Energizer Ultimate Lithium batteries are claimed to last up to 9X longer in digital cameras (vs their hallmark Energizer Max batteries) and 1/3 lighter than traditional alkaline batteries. They're also said to be good for temperatures ranging from -40C to 60C and can hold their power up to 15 years when not in use. Marketing speak is one thing, but what really matters is how these batteries perform in real-world situations, so I decided to put them to the test. 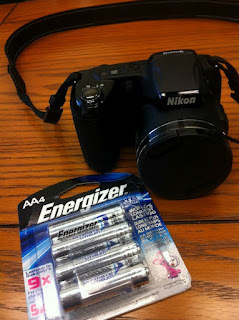 Since the Ultimate Lithium batteries were intended for high-drain devices, I used four AA's in a Nikon Coolpix (a higher-end point-and-shoot camera) to see how they'd perform. Admittedly, my photography sessions were designed to intentionally drain the batteries quickly, so I would expect even better performance for regular everyday use. To test the battery capacity, during my time snapping photos I purposely took a lot of indoor photos with flash, maxed out the LCD screen's brightness, and moved the zoom lens in and out to for positioning. I even took a lot of action shots at maximum resolution, again to drain the battery quickly. Despite my abnormally high battery usage, I managed to get about 15 hours worth of use, and captured over 1,200 photos. That's compared to the approximately 2 hours lifespan I got with regular AA alkaline batteries. 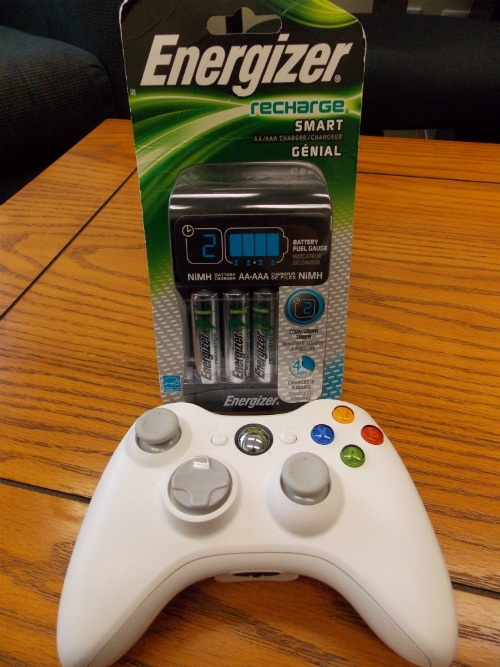 Overall, it's easy to recommend Energizer Ultimate Lithium batteries if you use high power consumption devices like digital cameras, handheld GPS devices or gaming peripherals. Just a couple of side notes, I wasn't able to measure the batteries in extreme temperatures, because well, it's 30C here in Toronto at the moment, and I also can't measure up to 15 years to hold its charge without use, since that would be impractical. With that said, it is nice to know that given our extreme temperatures here in Canada (we've had summer days in the mid 40s this year) that the batteries should perform as normal, and if you're the type like me that puts fresh batteries in a drawer only to rediscover them six months later, it's comforting to know that the charge should still be at max. Being a huge gamer I just had to test out the Energizer Recharge batteries I was given on a game controller, so I selected my Xbox 360 wireless controller. The unit takes 2 AA batteries, and thankfully the Energizer Recharge Batteries come pre-charged so there was no waiting required to power-up the controller. Energizer Recharge batteries are said to last up to 4X longer than Energizer Max batteries, which for an Xbox 360 controller should mean over 100 hours of gaming (standard AA alkaline batteries usually last up to 40 hours). After putting in approximately 25 hours of gaming, the power status on the controller was still showing its maximum charge, so I figured in order to drain the battery for a proper test I had to use a higher power consumption device, such as my digital camera. After using the same methods as above to drain the batteries down to zero, I used the Energizer Recharge Smart Charger to power the rechargeable batteries back up to full. It's worth noting that like most chargers, you need to charge batteries in pairs, and in the same dock in order for them to charge. The Smart Charger is able to hold up to 4 AA or 4 AAA batteries, however for my test I used 2 AA's. The charge took about four hours in total, and what's cool is the Smart Charger has a countdown timer to show you how much time before the batteries fully recharge, and there's a fuel gauge to show how much battery power is available at any given time. There is also a "bad battery" alert that lights up when your battery should be replaced or a non-rechargeable battery is used (I tested with a non-rechargeable battery and it works), and there's an auto shut-off when the batteries are charged, improving the long-term health of the batteries. Energizer also says the charger has universal voltage so you can take it anywhere abroad. Also interesting is that the Smart Charger intentionally charges at a slower rate to maximize the lifespan of the batteries, and you can get up to 600 charge cycles. Overall, what I found during my testing is that the Energizer Recharge batteries do perform significantly better than traditional AA alkaline batteries, making them a good value. I was also extremely impressed with the Energizer Recharge Smart Charger, with its big LCD display that shows the current status of your batteries, and can be seen from across the room. Using Energizer Recharge batteries I was able to play over two dozen hours of gaming without showing a measurable decrease in the battery's charge (according to the Xbox 360 controller power gauge) and even after switching the AA rechargeable batteries to my digital camera I still got a few hours of shoot time in before the batteries were fully drained. As a huge tech guy and heavy user of batteries, my experience with Energizer's Ultimate Lithium and Energize Recharge was good enough to convince me of their value. Keep in mind that these batteries are best used in higher power consumption device such as digital cameras, remote controls, flashlights, etc., so for low power devices you're probably still better off using the everyday Energizer Max batteries. Tech guys like me though need something more powerful, and that's why I was very satisfied with how long Energizer's Ultimate Lithium and Recharge batteries lasted. Did you know you can get paid to play games?